Corn Pops, but does it taste like Corn Pops? That's what we're about to find out! lover himself, and 24-year-old birthday boy, my shirtless brother! 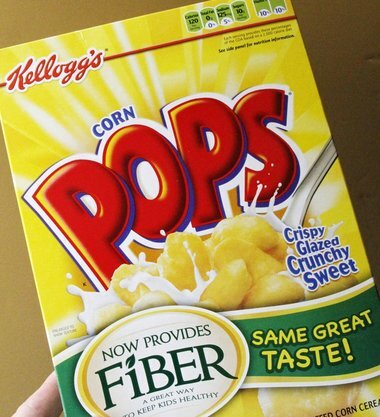 Review: "Mmm wow that's definitely similar to Corn Pops! and also crunchier. Where was this stuff when we were kids! Love Gorilla Munch. It's one of my favourite cereals and I agree on it being super crunchy - one of the best parts of it! Yum! I have been wanting to try this forever! LOL Want to know a secret!?!? I buy Gorilla Crunch for the Husband ALL THE TIME!!!! He loves the taste and it's healthy! I totally grew up on Corn Pops, but I LOVE Gorilla Munch! I wasn't a fan of Leapin Leamurs (it was tasteless agony trying to use up the box... and cereal should *never* be agony!) so I never dared try Gorilla Munch. But with such a glowing review, I might have to! I am so tired of fake ingredients in cereal. I just recently tried Cascadian Farms' honey nut cereal and I love that it actually tastes like honey! I've literally never had these, but they look delicious! haha awesome i love envirokidz cereal, they all rock! 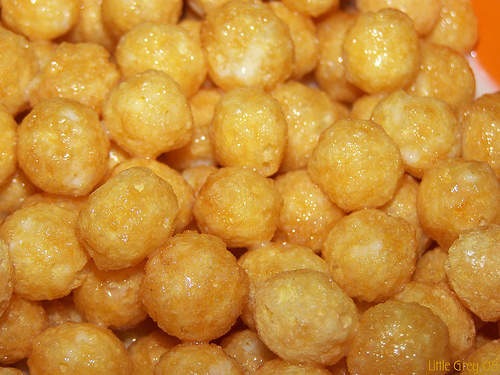 Corn pops was my favorite cereal growing up so I can't believe i haven't tried this type! I've tried the Gorilla Munch too... much better :-) The Koala Crisp one is also amazing! Mmmmm, I haven't tried that Gorilla stuff, but I do like Corn Pops! This cereal will not rustle my jimmies, will it?